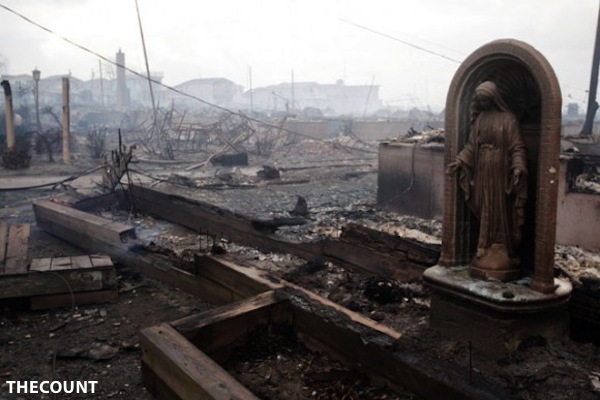 A section of Queens known as Breezy Point, one of the hardest hit areas, fell victim to some unscrupulous looters during this Thanksgiving holiday. The crooks took it upon themselves to clean out several people’s homes of their valuables as the they enjoyed their Thanksgiving meal with family and friends. The opportunists ended up with a $25,000 coin collection, jewelry, watches and change jars, anything they could get their grubby little hands on. There have been at least 14 home break-ins in Breezy Point from Nov. 12 to Nov. 18. There were none during the same period last year.